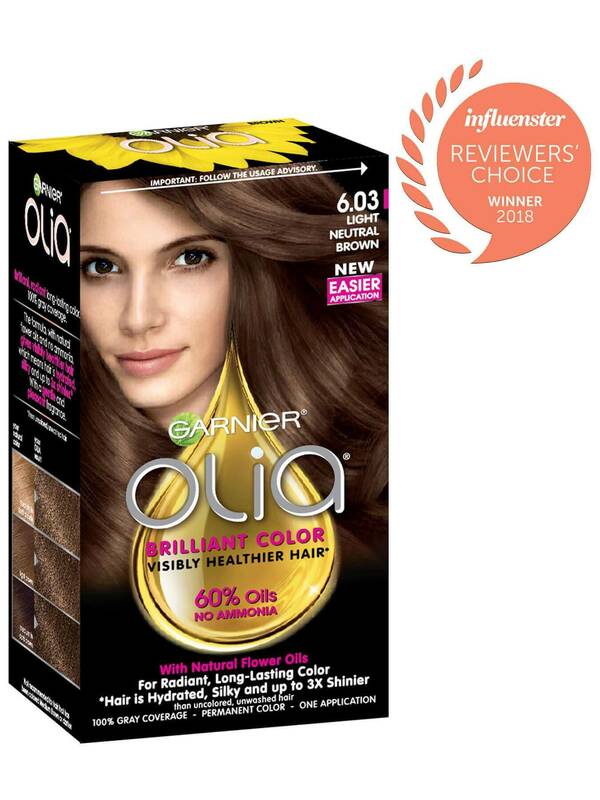 Garnier Olia shade 6.03, "Light Neutral Brown," is a natural brown, specially designed to balance warm and cool tones in your hair for the most neutral color results. This shade provides 100% gray coverage and is best for anyone with natural hair between dark blonde and dark brown. 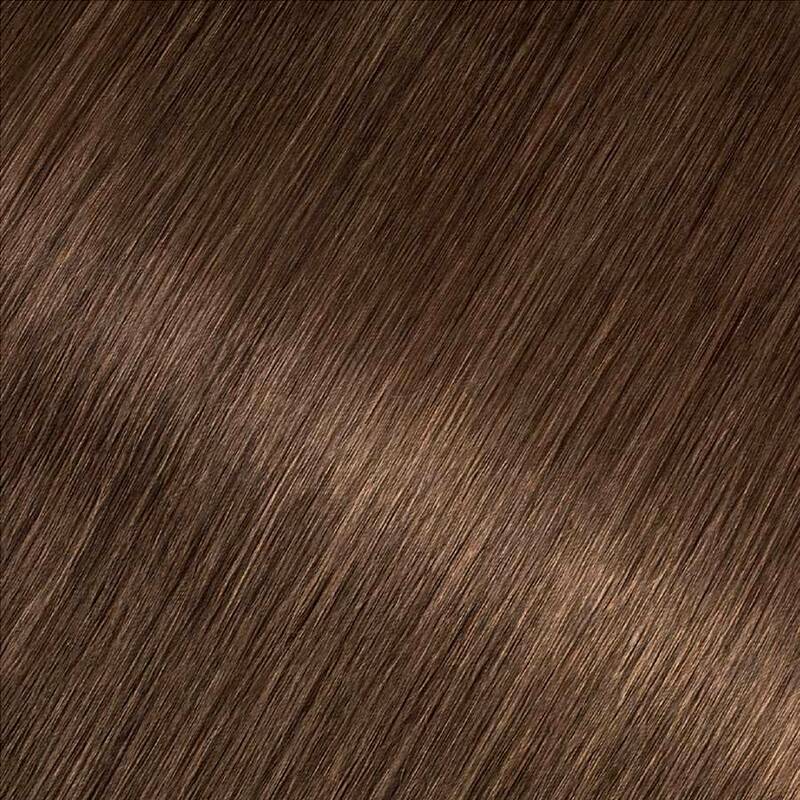 If you prefer a lighter shade that reflects similarly, try shade 6 1/2.03, "Lightest Golden Brown." If you would like to remain in the light brown range but would like to try other reflects, there are many shades to choose from including 6.0, 6.3, 6.43, and 6.60. *For women with currently color treated hair, there are special considerations for the color result you can achieve. Because of this, we do not recommend shade 6.03 for hair that has been previously colored shade 4.0, "Dark Brown," or darker. For more help, use our Shade Selector Tool to find the perfect shade for you! Rated 5 out of 5 by Linda64 from Perfect color As I become more gray, this color hides it perfectly and looks very natural. I always get complements! Rated 5 out of 5 by Carla8993 from Love The Color! I like that the color is not too dark. It is a true light brown. It leaves hair glossy. Rated 5 out of 5 by debra12256 from How I got my Shine Back I had walked by Garnier Olia in the store many times but had never bought it. I thought it was just another hair coloring. I wish I had tried it earlier. It is so simple to use and the results are excellent! It doesn't have the typical "hair coloring smell" to it. 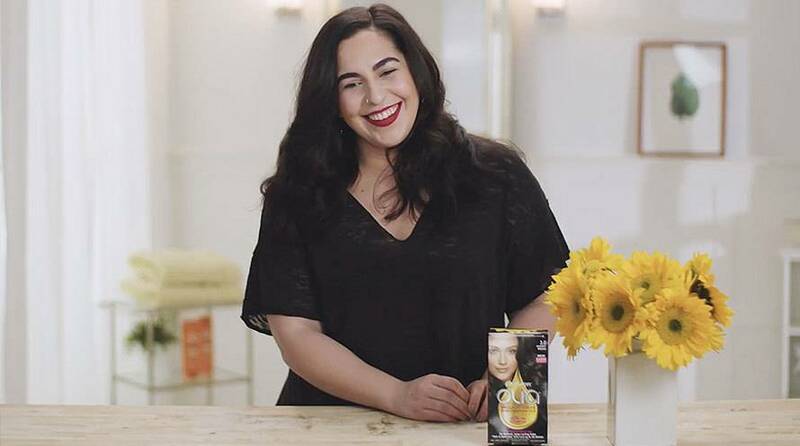 The way it makes my hair soft and sooo shiny - I just love it! Rated 5 out of 5 by wwgal4 from Good Results! I thought this product worked well in that it colored evenly, covered greys and left my hair soft and shiny. Would recommend it and use it again. Rated 5 out of 5 by JoAnnaHeaps from Love the Color So easy!! Love love love the Color! My hair feels silky soft. My hair is shiny and smooth. So glad I tried this. Very easy to use and not messy. Smells good too! I was able to Color my hair with 4 toddlers running around. It was that simple and my hair looks great! Rated 5 out of 5 by Kellw12 from Zero harsh chemical smells I love that there are zero harsh chemical fumes or smells. As someone with migraine issues this is much appreciated.Also not a hint of brassiness in sight, which is hard to do achieve sometimes. I'll be using this again! Rated 3 out of 5 by jomuse from Mixed Results I tried the Hair Color and even though it was easy to use, the results didn't seem to make much of a change. The gray was less noticeable but the color didn't seem to be any shinier than when I use another brand.